Hey guys! 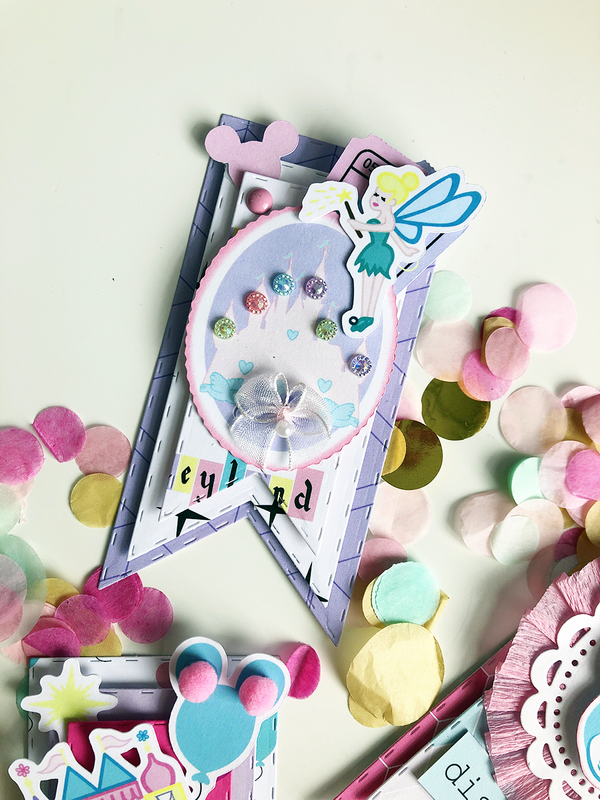 Welcome back to the blog for another super fun project in collaboration with The Fairytale Club. 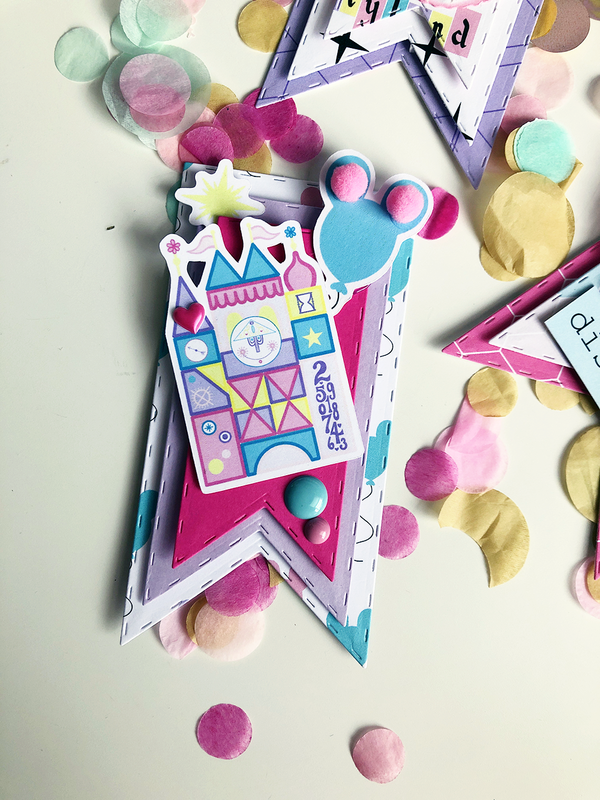 We are working once again with the Wonderful World Of Disney kit but this time we have made some super cute fun layered tags. I picked up these super cute tag dies a few weeks ago and have yet to use them so I put them to use in this project. These are stitched tag dies that I cut which gave a little extra to the look of the tags. I layered different sizes on top of each other with foam tape for some added dimension. For the larger tag, I used a crepe paper rosette as my center piece and a mini doily. I then used the Minnie Mouse as well as other ephemera pieces from the collection to further embellish. The other 2 tags have the same concept with also added embellishments. Hope you guys enjoyed the post and create your own!